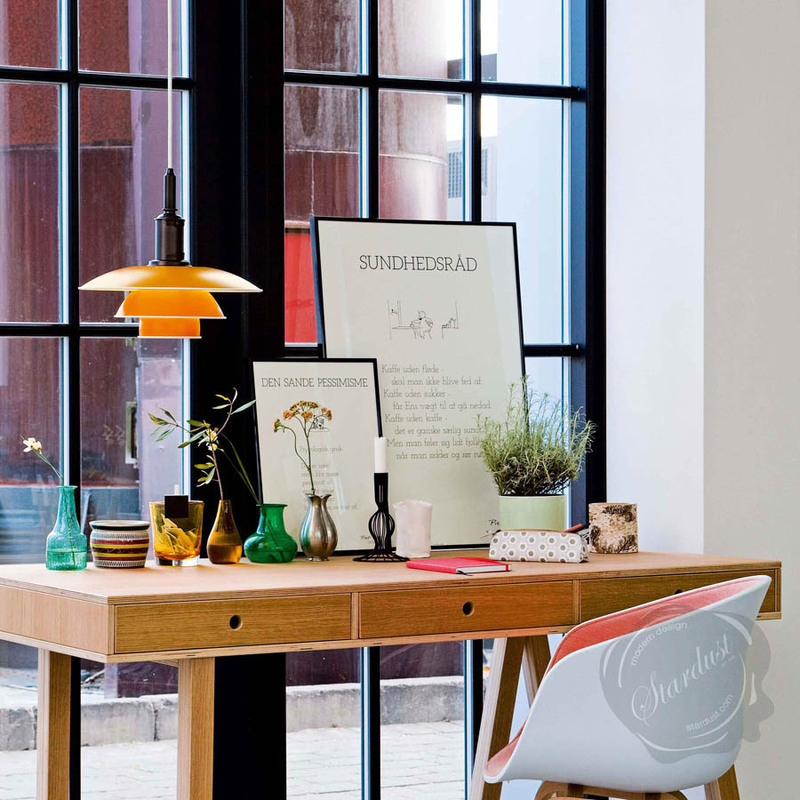 Danish modern pendant lamp from Stardust. 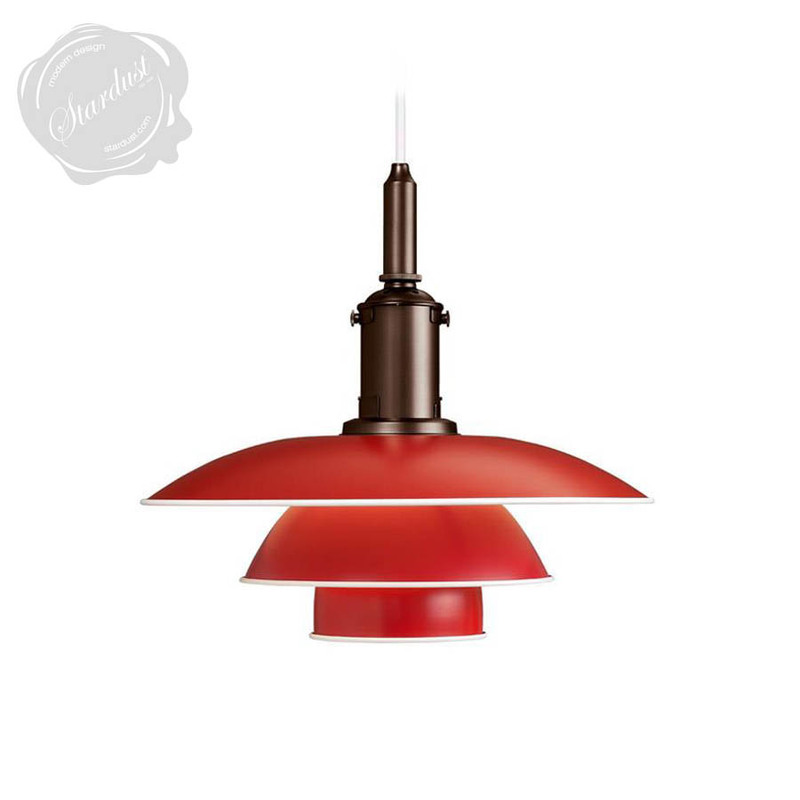 Industrial steel Pendant. 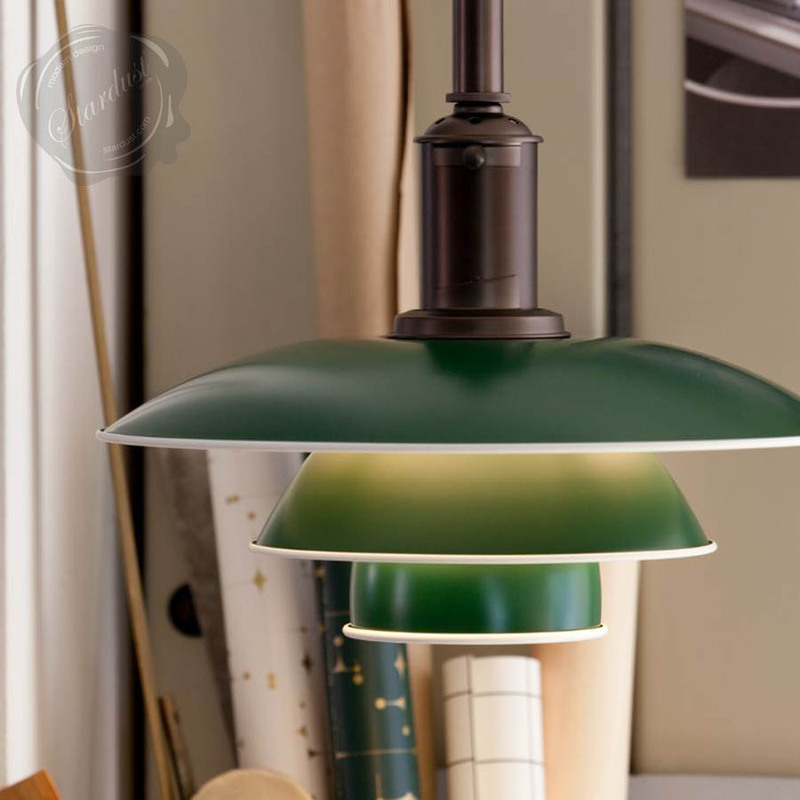 Reflections from Louis Poulsen's PH 3 1/2-3, a Danish Design Pendant Light, has light shades that are drawn over a logarithmic spiral . Shades corresponds in a relationship of 3:2:1. 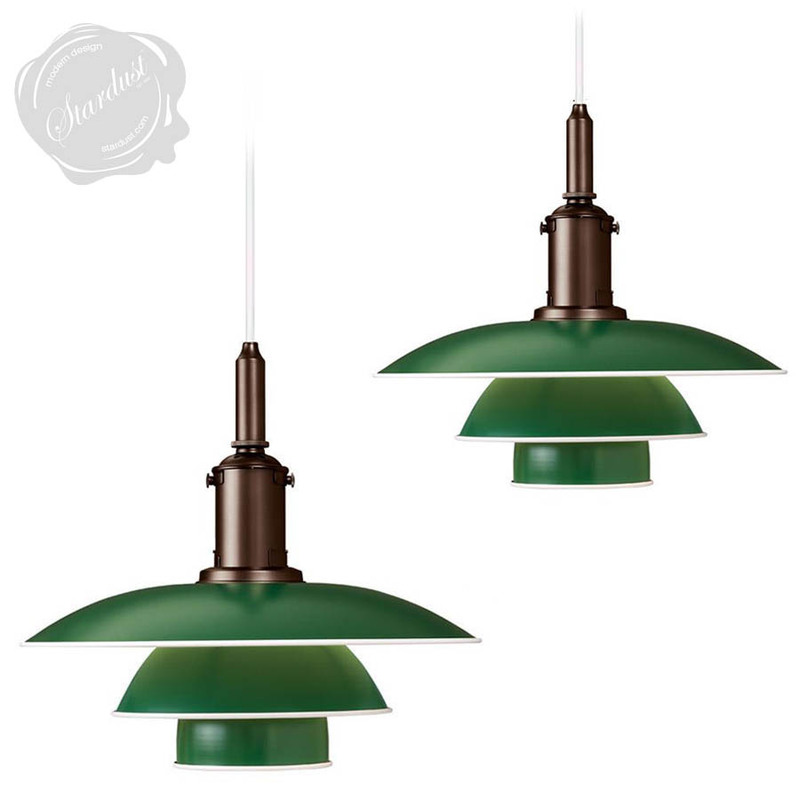 Each shade evenly decreases the amount of light. Only US-version (110V) available. 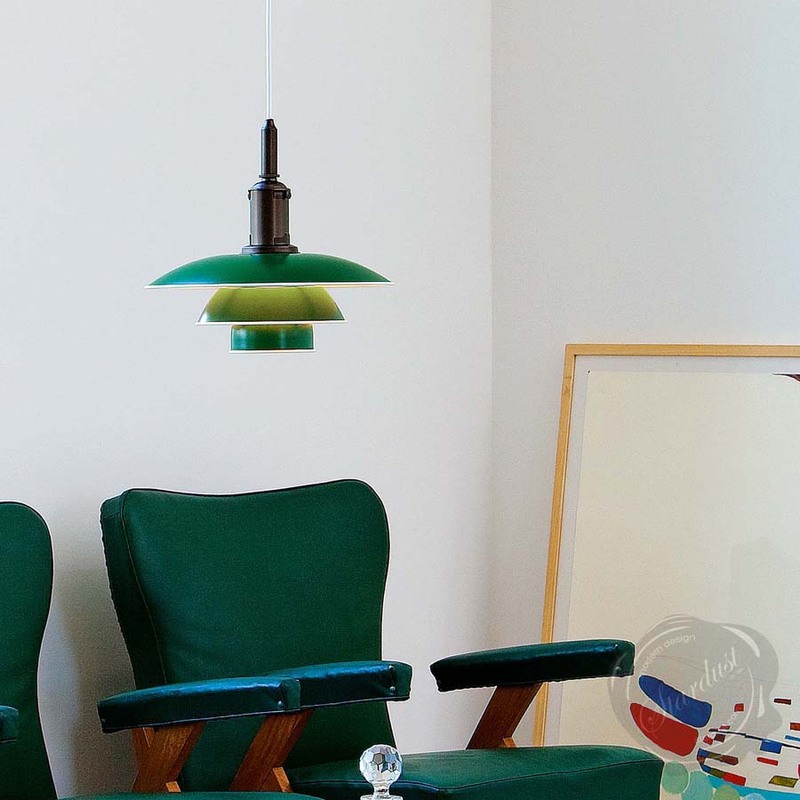 Poul Henningsen, designer of the PH 3 1/2-3 Danish Pendant Modern Light would have turned 120 the 9 September 2014. 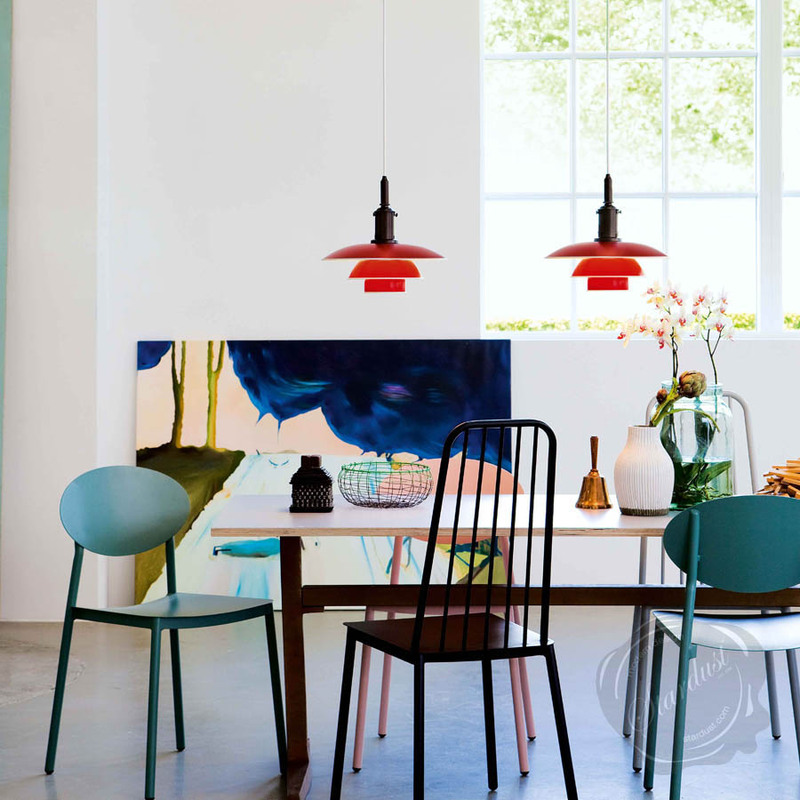 For this reason Louis Poulsen and its US retailer Stardust.com is re-launching one of the first modern lamps in the PH system in limited quantities. PH 3 1/2 - 3 from 1929 and the special edition as PH 3 1/2 3. Made by PH original drawings. 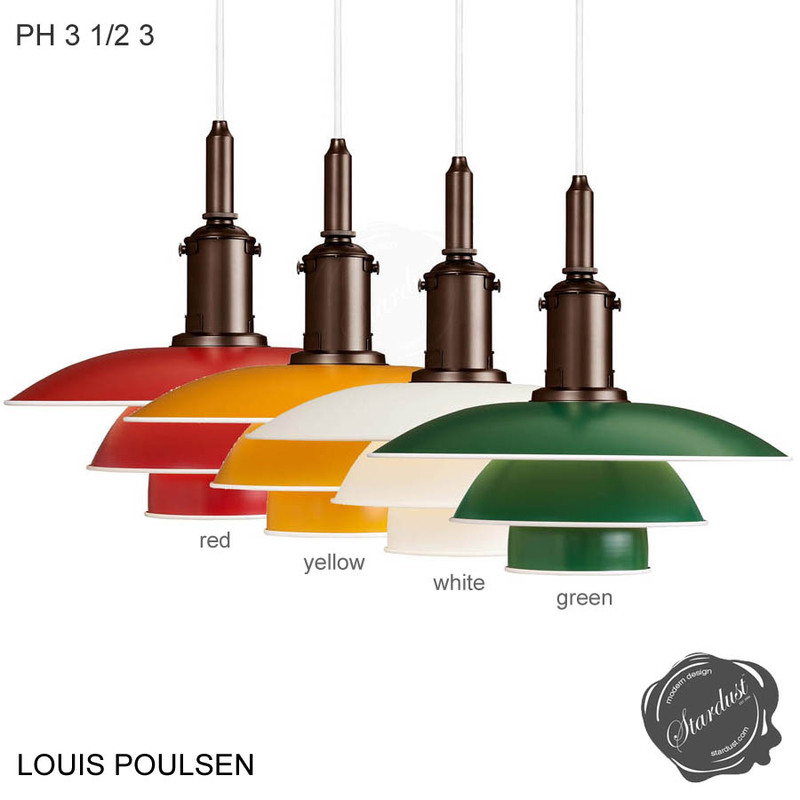 During autumn 2014 they will also launch PH 3 1/2 - 3 in a version with painted screens which will then be part of the Louis Poulsen standard range.